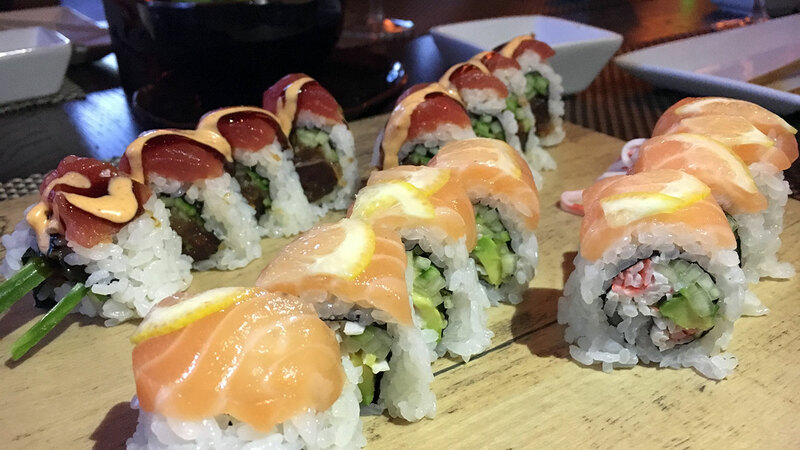 Have you tried all the #1 most popular rolls at these Charlotte sushi hotspots? 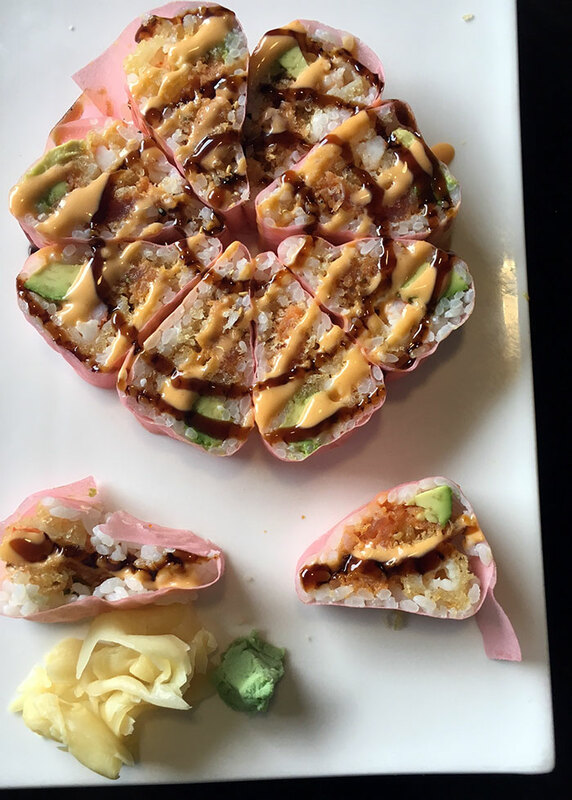 You can’t call yourself a sushi lover until you’ve tried the #1 roll at these top Charlotte sushi restaurants. 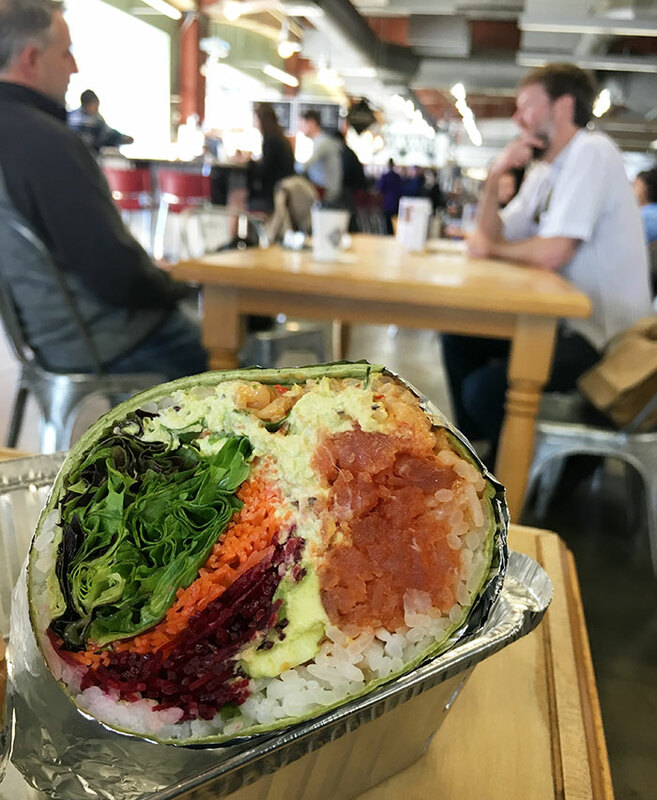 Just 1/2 of Bonsai Fusion’s Sushi Burrito. Oh, and they just rolled out new poke bowls that are freaking delicious. If you haven’t had the $11.75 all-you-can-eat lunch buffet at Ru San’s, you’re missing out. 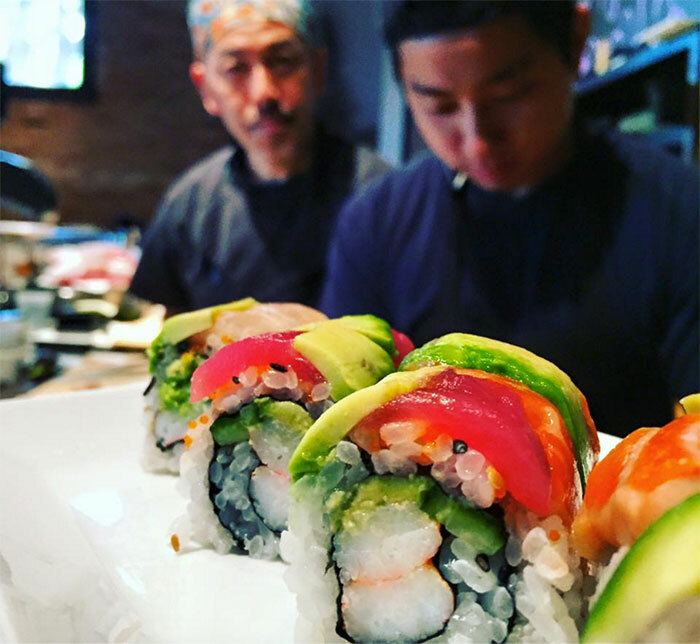 What’s inside O-Ku’s Rainbow Roll? Seafood wrapped, filled with snow crab, cucumber, avocado, masago, and shiso dust. Lime zest rainbow tobiko, spicy aioli, eel sauce, togarashi ($14). 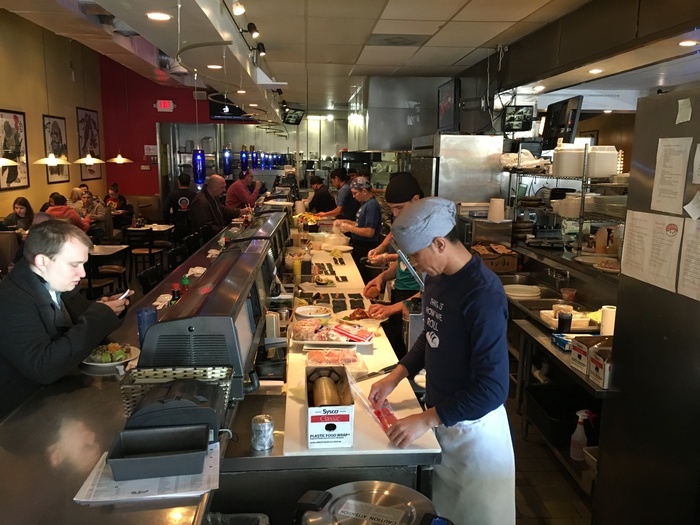 O-Ku Sushi hit the ground running in Charlotte. It’s the best atmosphere out of any of our city’s sushi restaurants. What’s inside Pisces’ Screaming “O” Roll? 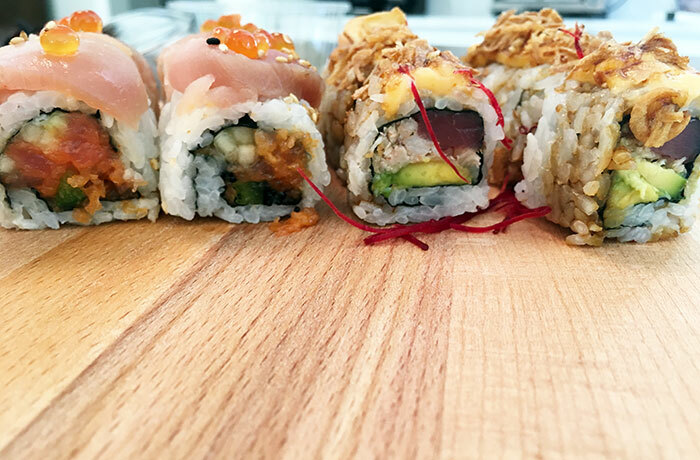 Spicy tuna, shrimp tempura roll, topped with seared tuna, jalapeño and spicy screaming “O” sauce ($14). Huge fan of dropping a thinly sliced jalapeno on a roll. Photo and cover via Allie Papajohn. 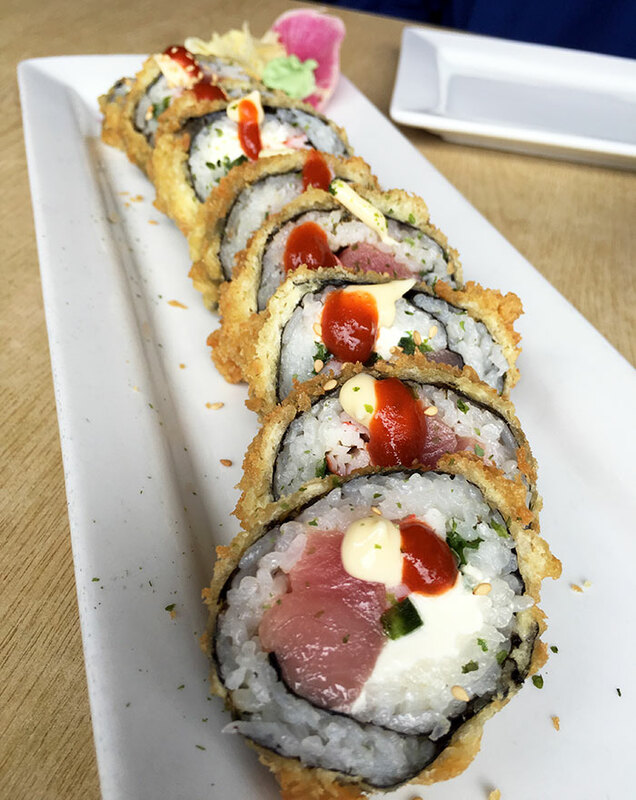 Agenda’s favorite Cowfish roll is the Mark’s Roll ($15): Fresh tuna, jalapeño, cream cheese, kani, scallions inside, coated with panko and flash fried. Topped with Japanese mayo and sriracha. 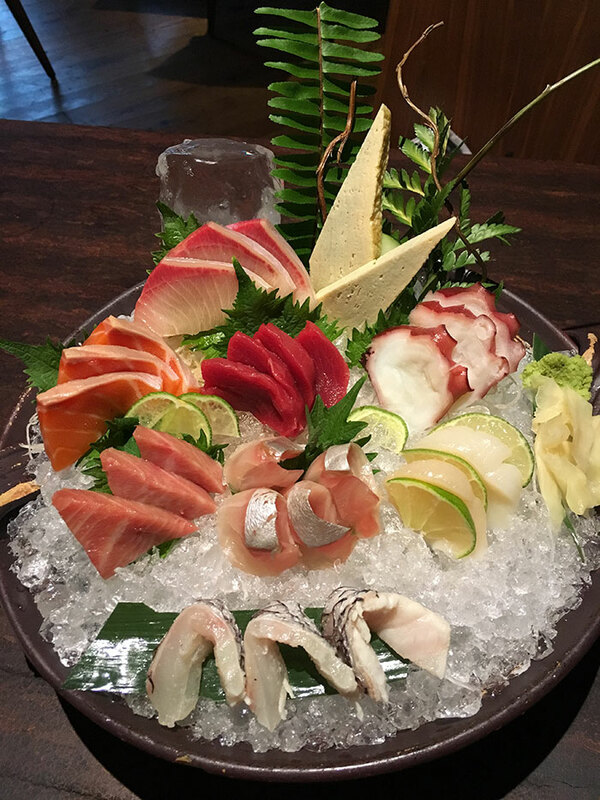 Served with ponzu dipping sauce. 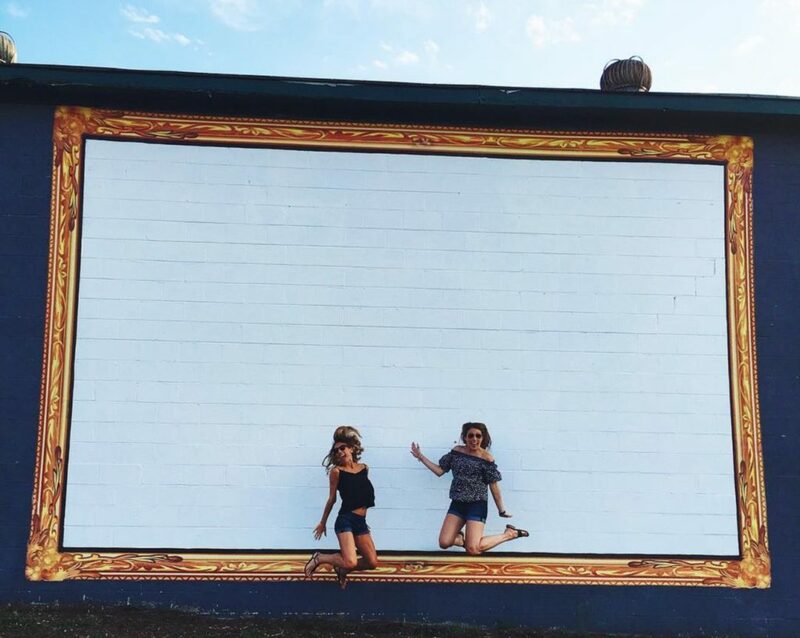 Want to get even weirder? 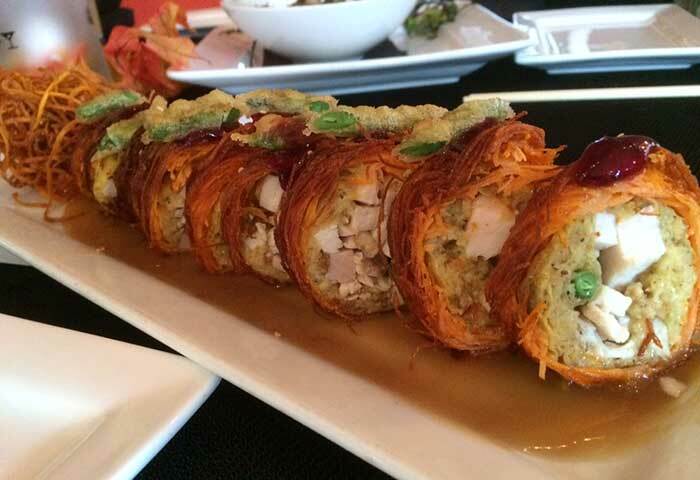 Just wait for the Gobble Gobble Ooshi roll this Thanksgiving. No, I’m not kidding. 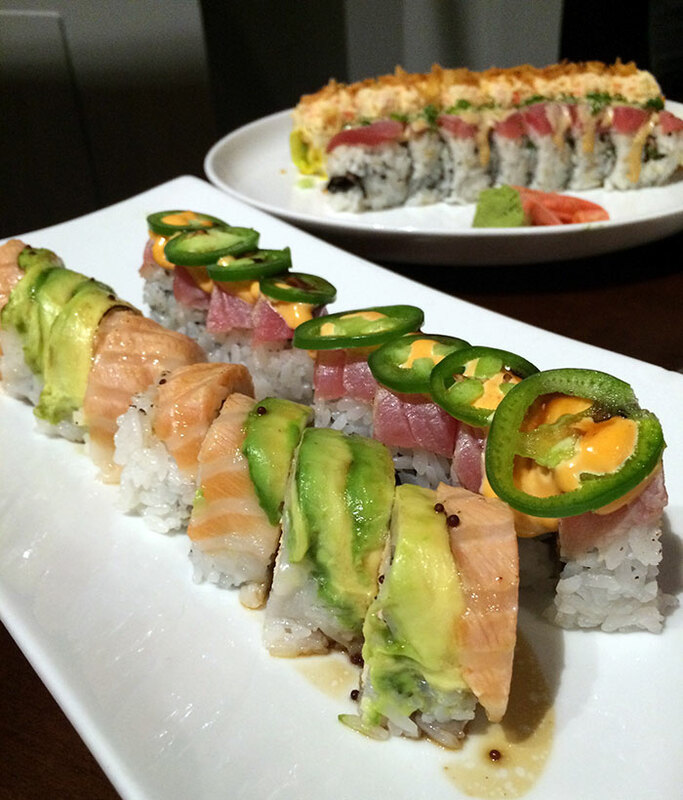 Guru Roll (right) is outstanding and the fried garlic on top gives it a smokey taste. On the left is the Tuna Lover Roll which isn’t nearly as tasty as the Guru Roll. Located in an old Pizza Hut space in Cotswold.